Bristol airport family rooms can help get your family holiday off to the perfect start. If you've booked you and your family on a morning flight, booking a Bristol airport hotel family room is the best way to avoid having to drag the kids out of bed for a long drive to the airport. What's more, booking through us means you can rest assured you're getting the best deal thanks to our Best Price Guarantee. What do hotels with family rooms offer? A family room will sleep up to four people, with hotels offering varied sleeping arrangements. For example, some will have two double beds, others will have a double and a z-bed. All rooms offer everything you and your family need, including en-suite bathrooms, a television and tea and coffee-making facilities. If you've got a young child, most hotels offer cots too. If you would like us to reserve one for you, just contact us. Which hotels offer family rooms? There's two hotels at Bristol which are perfect for families. Depending on your budget, you can pick either a 2-star hotel or a 4-star hotel. Two-star hotels offer guests a comfortable night's stay at a reasonable price, and the Town and Country Lodge is no exception. It's 10 minutes from the airport so it means you can get some extra sleep, leaving you all refreshed and ready for your holiday. If you want to treat your family to something special, you won't be disappointed with the Plush hotel. This 4-star hotel oozes character and quality. 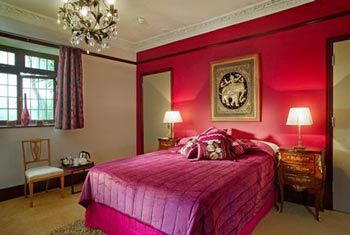 All rooms are tastefully decorated and the hotel is set in beautiful gardens. If you're worried about how you're going to occupy the children, the swimming pool is certain to keep them entertained. 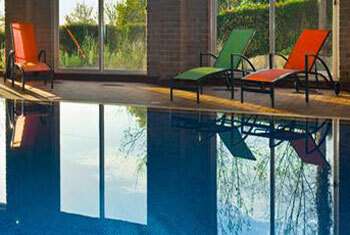 Better still, the little ones can get some extra time in bed as the hotel's just two miles from Bristol airport.